For anyone serious about genealogy, it is critical to be able to retrieve saved family records and pictures from your hard drive quickly and easily. 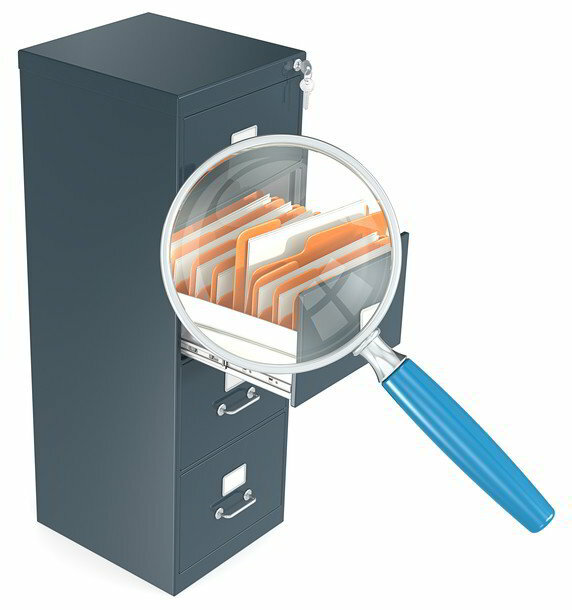 I have a records management system that I have been using for years that is simple to implement and easy to use. By following these simple file organization technique, you can dramatically shorten the time you now spend searching for saved files. If you have collected a lot of files over the years then organizing them will be a chore, but well worth it in the long run. If you are new to genealogy, adopting a system like mine will benefit you by avoiding bad file storage habits in the first place. We have all been there, you find this incredibly valuable document image or family photograph and in haste just dump it in your “My Documents” folder or generic “Genealogy” folder with a big mass of files that already reside there. You intend to go back later and put it in a better place, but just never get around to it. Files placed in obscure directories or mixed in with all your other files are as good as gone and are basically just consuming your hard drive space. Especially, in cases of poorly named and non-descriptive file and directory names. If you take some time up front to setup your directory structure properly and maintain discipline in placing documents right when you get them, you will reap a big time savings over the long haul. All you need to do is structure your hard drive such that there is always a specific place to store your files to and retrieve your files from. Then, you will stop misplacing your research data and wasting valuable time trying to find them. Obviously, you would substitute "Project" with the name of your research project and "Surname" with the actual surname(s) you are researching. This structure allows enough granularity to keep the collections of genealogy records online and files to be of manageable size while still allowing you to easily find them later. There are some cases such as marriage name changes where files could be placed under two different surnames. The rule I use is to put the document or picture under the surname that was being used at the time. You could also put them in both places if you wish. The second thing to consider is how you name your files. You should include a date (if available), person name and record type. Example: 1930_John Doe Family_ Census.bmp The more descriptive the easier you will recognize the file later when your recollection has faded. Once you have your files organized, you need to make sure you back up your genealogy records online and do it properly in case of a hard drive crash. You could buy a USB flash memory device or use one of the cloud based offerings such as Google Drive, Amazon Cloud Drive, Dropbox, Microsoft SkyDrive or SugarSync to meet your data backup needs. If you follow these file organization system, it will help you get more organized in how you store your genealogy files. The frustration of knowing you have something and not being able to find it is something none of us needs.